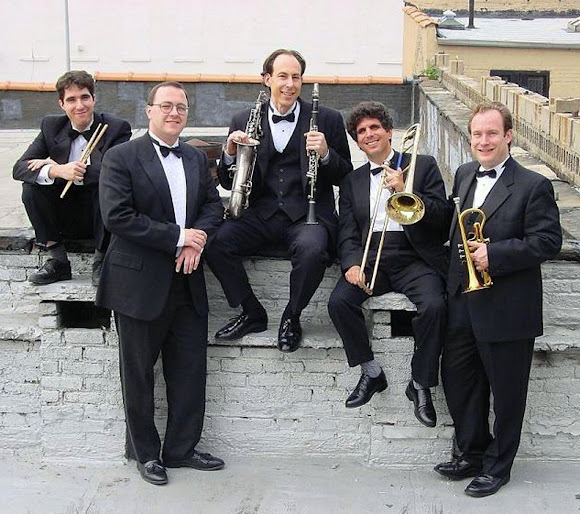 Dan Levinson Swing Wing has shared its traditional jazz and swing sounds all over the US and the world - Brazil, Japan, Germany and Scotland are a few examples of their numerous destinations. The band is named after bandleader Paul Whiteman's band-within-a-band. Their music combines the hypnotic sounds of the Swing Era with the hot jazz of the Great Gatsby Era. Let the entertaining lyrics carry you away with their wonderful sound. Right click below to download and save the sounds of After Work. Come and catch Bryant Park After Work. Its the perfect outdoor setting for our schedule of New York area jazz musicians and singer-songwriters. Only three dates left, starting with Dan Levinson this week, followed next week by Woody Pines.